Can Generation Z Save Us from the Millennials? RUSH: Here’s Bob in Carlisle, Pennsylvania. Bob, I’m glad you called, sir. How are you? CALLER: Thanks for taking my call, Rush. I’m a first-time caller. I just wanted to make a couple comments about two of your statements you made in the last week. CALLER: One: About a week ago you said that Millennials are eventually gonna find what the truth is about all the lies that are being said about the fake news and global climate change. And then yesterday you said about cold killing more than warmth. I want to tie that together with Winston Churchill’s quote (sic) of if in your youth you aren’t a liberal, you have no heart. But if by middle-age you aren’t a conservative, you have no brain. So the question is: How do we shine the light of truth onto the climate change issue? When you started that yesterday with a fact about cold versus warmth. RUSH: Yes, more people die from the cold. It’s something like 10 or 20 times more people die from the cold than from heat. It’s not even close. CALLER: But a lot of the things that we conservatives hear in the news are not facts and data. They’re emotion about climate change. We need to get the facts out, and I’m looking at a quote from a book here. It’s called Inconvenient Facts, where it talks about this, that 20 times the amount of people die from cold versus heat. CALLER: This book has all the detail in it that can be very beneficial for your viewers to go through all of the myths and lies about what Algore has said. I mean, it really reveals the truth of climate change like nothing ever has before. 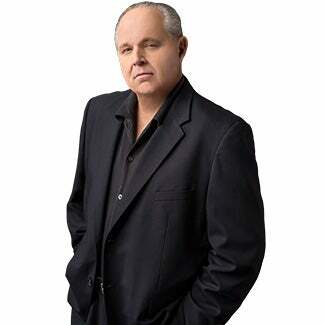 RUSH: You know, Bob, I understand what you’re saying about facts and how they are the ultimate weapon. I’ve always believed that, and I’ve employed that belief in the structure and conduct of this program. It has been fact-based in any number of ways. The problem with liberalism is it’s not fact-based, and the people that attach themselves to liberalism or socialism are not doing it intellectually. It’s a purely emotional attachment, and it’s rooted in things like “equality” and “fairness” and “sustainability.” They will accept lie after lie after lie told from Algore by Algore if there are pictures accompanying the lies. The key to liberalism, the key to selling socialism is to make everybody a victim of the calamity, a victim of Republicans, a victim of climate change. Now, in the case of climate change, not only are people victims, but they are the cause. But they didn’t know it! So there’s redemption possible. “You didn’t know! When you were barbecuing all those times, you didn’t know! When you were driving your SUV, you didn’t know. When you kept the thermostat at 70, you didn’t know that you were destroying the planet, and you’ve helped destroy the planet. “But now there’s redemption! You can save the planet if you’ll put the thermostat at 78 and not buy the SUV — and accept, by the way, these massive carbon tax increases we have planned over here.” It’s purely emotional. You tell a Millennial, “You know, more people die when it’s cold? More people die from extreme cold than extreme heat?” It won’t register. They’ll hear it. It won’t compute. It doesn’t fit. This is why the analogy I gave yesterday as a means of trying to reach ’em was cable TV. They hate cable TV. They despise it, and not just Millennials; a lot of people do. But focusing on Millennials, they despise cable TV. Why? Because they’re forced to pay exorbitant prices for things are not gonna watch. They’ve got the basic tier, and that’s got all kinds of stuff they’re never gonna watch, and then if they want HBO — that’s what they really want! If they want HBO, then they gotta pay X additional. But it’s not just HBO they get. They get a bunch of other channels in that mix they’re never gonna watch just to get HBO. And then if they want to watch something else, then that’s gonna get added. And by the time they’re finished, they’re paying a bunch of money they hate spending for 90% of the channels they’re never gonna watch. The left portrayed that as Cruz wants to take away your health care. I said no. Cruz wants to streamline your health care like you want to streamline cable. I try to come up with analogies, and then we gotta find a way to work the word “sustainable” in because that’s the magic word for Millennials. I’ve studied it. The reason they like wind power and solar is because they bought the silly notion that it’s renewable. They bought the notion that it works and because they’ve been told it’s sustainable, it is ongoing. We’ll never run out of it. And it’s fair and equally distributed. All of it’s lies. All of it’s bogus. So I told Senator Cruz you gotta find a way to put sustainability into your health care plan. But I still think because everything liberals, particularly Millennials, are being told is a lie, the day is gonna come where they’re gonna realize it. That’s, by the way, another little addendum here. One of the schemes of health care is to promise all these catastrophes long after everybody alive today is dead. “In the next 60 to 70 years the sea levels of Manhattan will be overwhelming The Empire State Building.” Right. Well, nobody alive — well, very few today are gonna be adults in 70 years to know whether or not the prediction is true. They never predict a catastrophe next week, next year, or next decade. Notice that? It’s always so far out than most people aren’t gonna be alive to know that it was a lie and didn’t happen. So the attack here has to point all of that out. I still think that at some point there’s so many outrageous lies in just the single issue of climate change, and there’s so many malicious lies about socialism and economics, that the day is going to happen where today’s 25-year-old and 33-year-old is gonna realize that they were lying through their teeth. I don’t know how old they’re gonna be when it happens, but it is gonna happen because they are being lied to, I mean, hook, line, and sinker. And everything they’re investing in, in terms believing, isn’t gonna happen. Now, it’s another thing whether they admit that they’ve been lied to or whether they’re too embarrassed to admit that they fell for the lies. That’s a whole ‘nother thing. Interestingly, the generation following the Millennials, Generation Z, this is the 9/11 generation, these people, these kids, Generation Z, have never known economic growth. They have never known economic abundance. They have grown up constantly hearing about how Republicans are gonna murder people, Republicans are gonna starve people, Republicans are gonna kill people. They have grown up hearing that militant Islam is no such thing. They’ve grown up hearing that America is a rotten place. They’ve grown up hearing that America is the problem of the world. I’m talking about kids that are not yet 20. They have grown up in the era of Obama where America was considered to be ill-conceived, immoral, unjust, and they’ve gotten a steady diet of it. You know what they’re doing? They’re not like the Millennials. They’re playing video games, and it turns out that studies of Generation Z show that most of them are not interested in hearing all this claptrap, and the majority of them lean toward Libertarianism. They’ve grown up being swamped every day in the news they consume about government this, government that, everything is negative. They don’t want to hear it. Now, remember my old theory of many years ago that every three or four generations you get a shift away from whatever destruction is taking place. That eventually a generation’s gonna be born that is going to reject the way its parents and grandparents lived. And Generation Z could be that generation. The Millennials are not. The Millennials are signing on to it hook, line, and sinker. The Millennials are buying every lie they’re being told. They’re soaking up every misconception and every distortion that they’re being fed. Not all of them, but I mean good a number of them are. Anyway, let me take a break here ’cause I’m a little bit long. I appreciate the call, Bob.